Unusually for a West End musical, Once gently pulses rather than powerhouses its way into the affections, beating very much to its own unique rhythm with a sublimely sensitive story of the power of music and the pain of untimely love. From the working bar on stage that welcomes the audience into the auditorium of the Phoenix with a makeshift ceilidh to the presence of quality names like Enda Walsh and John Tiffany, it is immediately clear that this is no ordinary film-to-stage transfer. Augmented and adapted by Walsh, the book covers the brief but intense journey of a guy and a girl, named Guy and Girl, who connect strongly but find that what they can sing to each other, they cannot say once the music has stopped. He’s a busking vacuum cleaner repairman missing his girlfriend in New York, she’s an unhappily married Czech mother searching for purpose and when she spots his potential, starts up a project to get him to record a demo but their feelings soon threaten to pull them onto the cusp of new possibility. Declan Bennett and Zrinka Cvitešić exude the kind of chemistry most couples would dream of as the central pair – his taciturn intensity well-suited to Guy’s brooding demeanour and her headlong energy adorable yet dangerously reckless as Girl’s passion leaves her torn. A late scene of unspoken emotion is just beautiful, almost unbearably sad as one urges them to throw caution to the wind, cast their all-too-recognisable awkwardness to one side yet their romance remains as it always has, an anti-romance. The bittersweet tone is frequently tempered by a Celtic wit though, most often in the bar scenes and most notably in a cracking response to Guy’s declaration that he’s about to sing to one of his own songs, in a show that no only feels but looks and sounds just right. The burnished mirror of Bob Crowley’s semi-circular pub set both adds a depth to the design but also an extra dimension to see additional details of the onstage action that might otherwise be hidden; Steven Hoggett’s movement has a magical, almost dream-like quality that characterises so much of the feeling in this world; and the actor-musicians that populate the stage with their supporting characters demonstrate huge skill on a wide range of instruments – mandolin, cello, cajon, banjo, uke, violin, bodhrán and more beside are used to bring Glen Hansard and Markéta Irglová’s score to sonorous life. The music fits more into the Irish troubadouring tradition of people like David Gray and Damien Rice and though it has moments where it is perilously close to becoming bland, there are many more where it shimmers gorgeously. 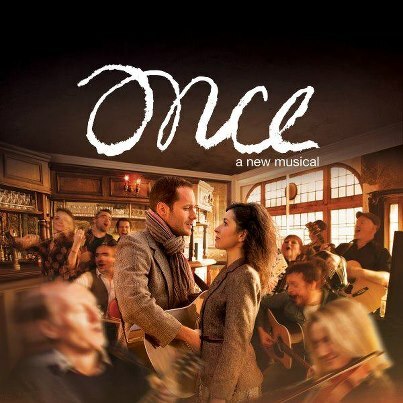 The Oscar-winning ‘Falling Slowly’ sets the template perfectly, a heartfelt duet that builds and builds as more and more musicians chip in from the side to give a beautifully layered musical treat. Bennett’s Guy rips through ‘Leave’ with passionate verve and Cvitešić’s Girl imbues ‘The Hill’ with a lifetime of longing but it is the ensemble numbers that genuinely touch the soul – a hushed a capella rendition of ‘Gold’ is just spine-tingling and the final reprise of ‘Falling Slowly’ is a enchanting demonstration of the power and the beauty in the communal. The charms of Once aren’t typical but they certainly are no less for this – what may seem delicate has the strength of filigree steel, what may seem twee has the ring of genuine truthfulness. 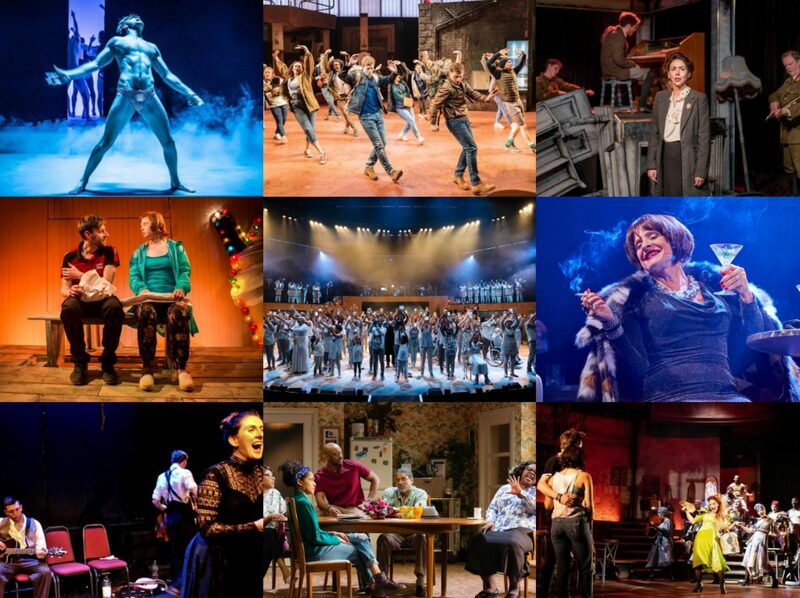 Its uncluttered simplicity belies the complexity of human emotion which this musical brings to life like no other show. Highly recommended.